A cruise on the Mekong is as exciting and nearly as unpredictable today as it was in 1866, when the first western explorers stumbled upon the region. These are the most soothing scenes you have ever laid eyes upon: as your boutique cruise ship glides past splendid Mekong panoramas you watch from the comfort of your cabin or from the sun deck as you relax in a comfy deck chair with a cold drink. The majestic Mekong River can be unpredictable. Sometimes even your cruise director does not know on which sandbar the ship will moor on a given day or which village you will visit. It’s all a part of the adventure! Spontaneous and surprising shore excursions each day—sightseeing tours and visits to attractions are included, but not mandatory. Food doesn’t get more authentic than than this. 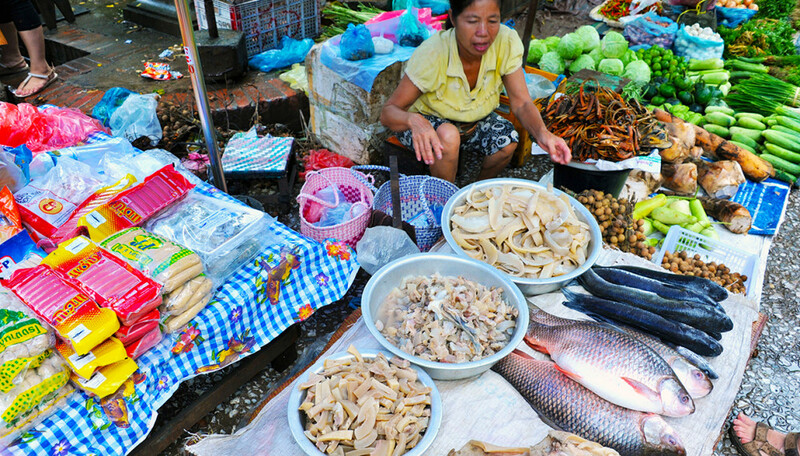 Are you brave enough to taste fried locusts, dried oxtail or boiled chicken feet with chili and lemon grass? 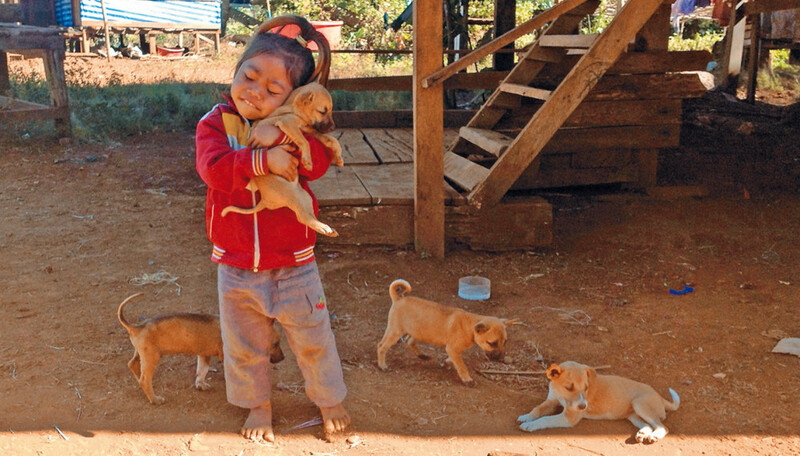 Local children and grown-ups alike will be excited to welcome you on your trips to tiny villages. Our ships bring the only visitors here, so be prepared to be marveled at as a living geography lesson. 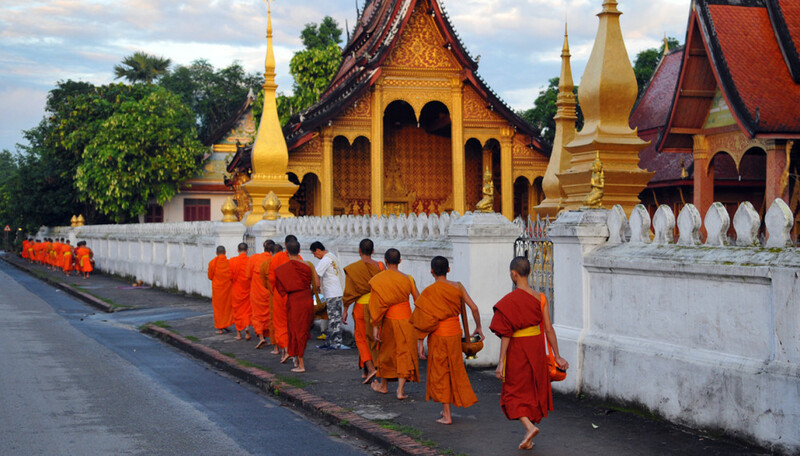 Temples, pagodas, pilgrimage sites, monasteries and monks—the richness of Buddhist culture with its beautiful architecture and colorful garments can be found nearly everywhere during your journey. 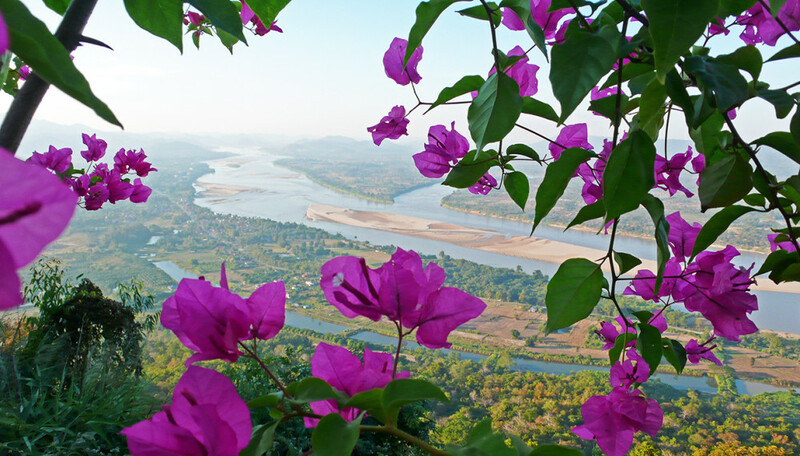 Explore the beauty of the Mekong’s tranquil waters, marvel at pristine shore lands, spot rare birds in the National Parks and discover extraordinary geological rock formations. Ever climbed up the seven levels of heaven on a rickety staircase attached to a holy rock of disputed height? 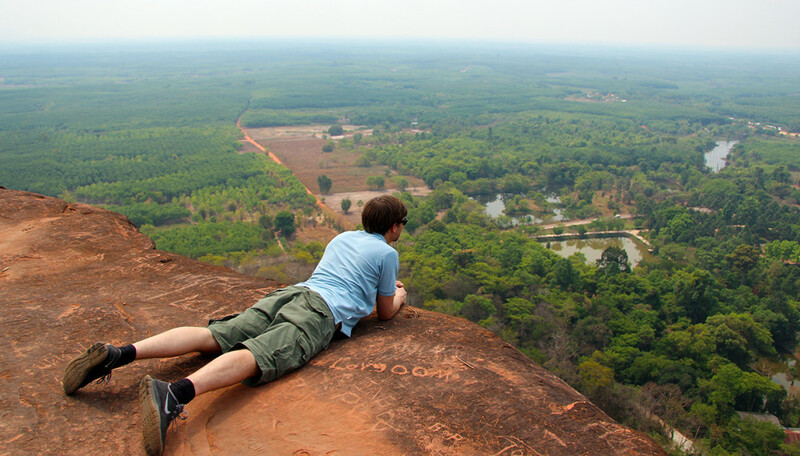 The view is definitely worth overcoming your vertigo! There is no need to take part in the program every day. You are free to design your own day. Go and explore Asia for yourself, whether you want to go for a stroll, visit a local mall or ride around the villages by bike. Whatever is possible—we’ll try to organize it for you if you wish. 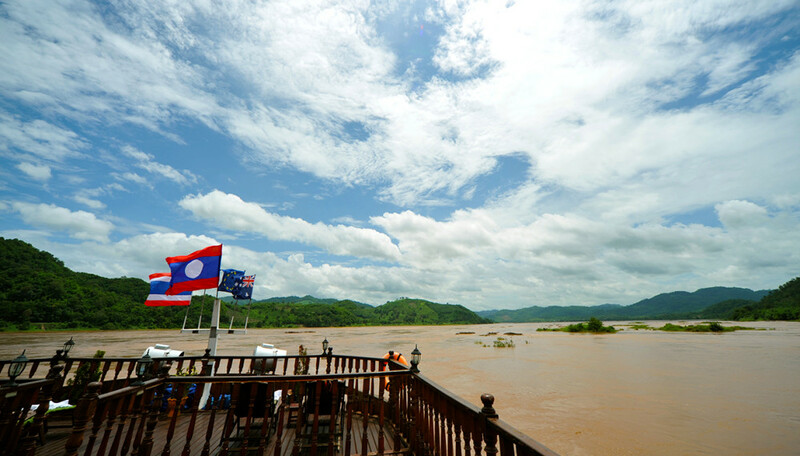 The Mekong Sun is your best, and in many cases the only, way to explore this world of wonder. 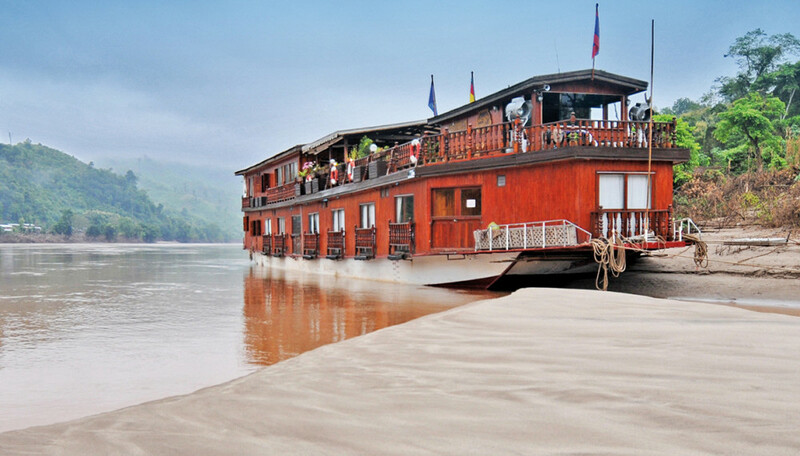 Our boutique river ship easily navigates otherwise inaccessible areas of the Mekong, ensuring that your journey is unique! 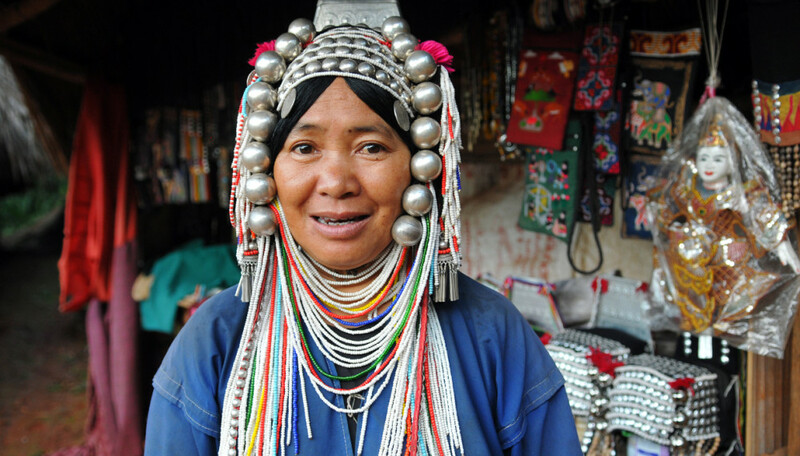 The upper Mekong is one of the most adventurous rivers in the world. 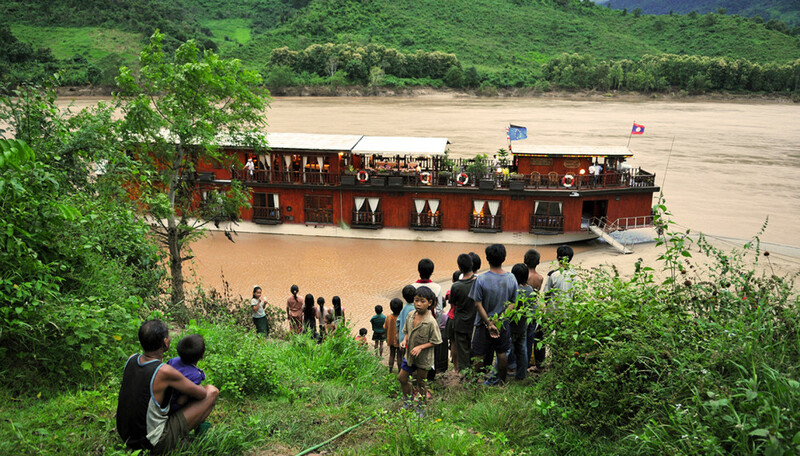 Our boutique river ship—the only one in Laos and Northern Thailand—is dedicated to guiding our guests on the journey of a lifetime. Even the most discerning travelers will enjoy a once-in-a-lifetime experience in superior air-conditioned passenger cabins and premium service.